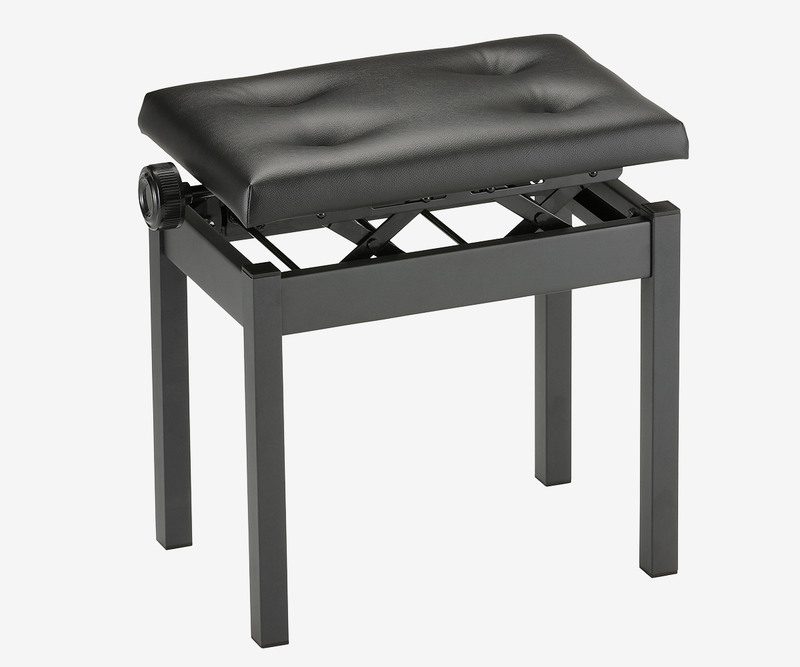 A height-adjustable seat that's ideal for digital piano. 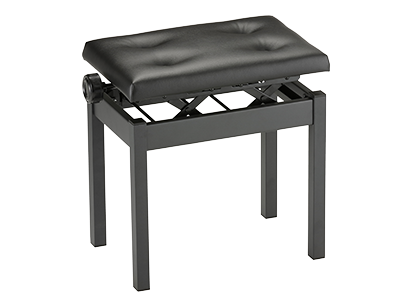 This height-adjustable seat is ideal when playing a digital piano or keyboard, and features a classical design with a seating surface secured by four buttons. 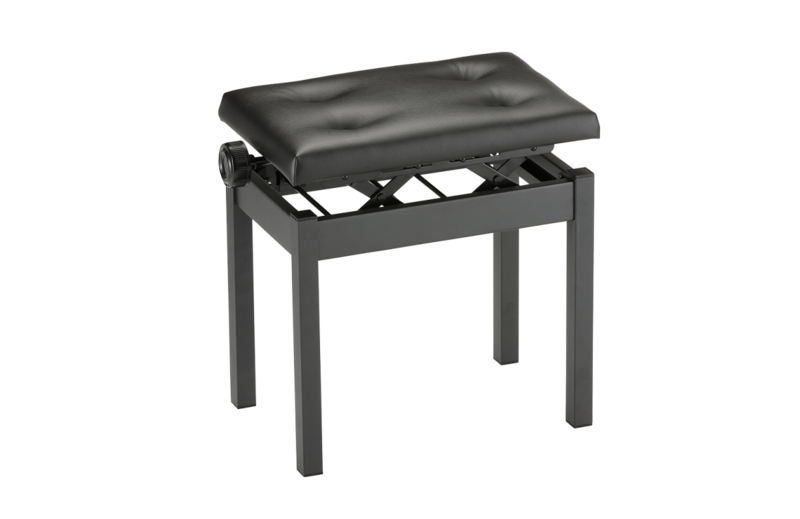 The four-legged design uses a thicker seating surface than previous units, providing comfortable support even during extended playing sessions. 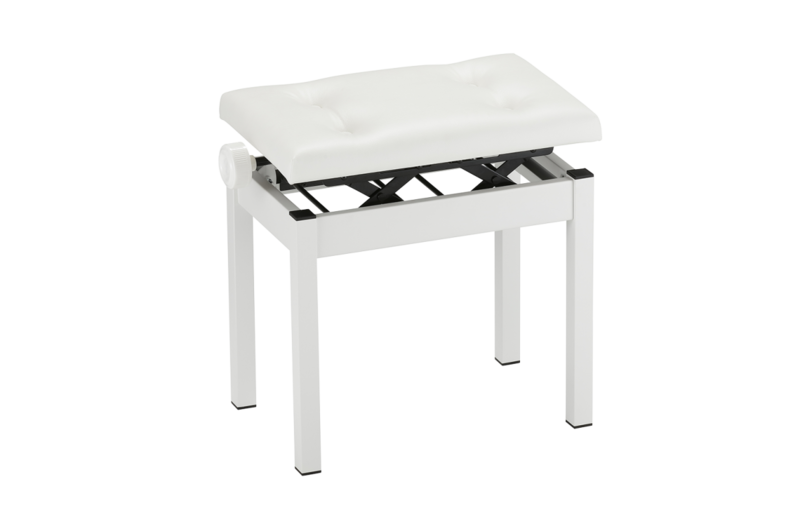 The height can be adjusted continuously by turning the side handle. 470 mm x 310 mm/18.50" x 12.20"